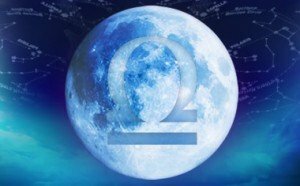 On 23rd March we will have the full moon in Libra at 3°17’ and the sun will be exactly at its opposite in Aries. The interesting thing about this full moon is the fact that we will also have a lunar eclipse, which announces a change. Lunar Eclipse does signify endings, closures, chapters of life coming to an end. Most probably situations which started when we had the full moon in Aries in September 2015, which created unbalance, especially in any kind of relationship, will be cleared opening up the possibility of a new beginning. In colour language Libra is green. It is the only stars sign in the zodiac that is inanimate, because it wants to remind us that we need to find our Soul within our heart. Green is the colour of the Heart chakra, it relates to the truth, specifically, the truth of the heart, what we feel true to us. Interesting enough that Libra is associated to the 7 House in astrology. Traditionally this house is associated to relationships on all levels, from marriage to business, while from the esoteric point of view it refers to the relationship between our Personality and our Soul, to what in the ancient teaching it was called the inner marriage. In esoteric numerology number 7 represents the fusion, the joining together of above and below, of Spirit and Matter, and it relates to the ray of Magic and Ceremonial Order. When we experience an inner fusion of these two aspects of the self, whether we are aware or not, we may experience fear and a lack of trust in what is happening. Fear is nothing but the change that we experience as the Life Force comes through us bringing us a new understanding and a new energy to work with. So this full moon, because of the Lunar eclipse will trigger this change in the relationship that we have with ourselves and, consequently, with others. It is really about a process of regeneration, as the colour green states, in which we will fill the urge to define our space in order to be able to make the appropriate decision in relation to move forward. Green is about panoramic awareness, so we will start to have a different view about ourselves, about who we truly are and who we do want to be. Because green is about the feeling side of life, and especially the way we feel in relation to our Soul, we will strongly feel wherever there is emotional stagnation or resistance, if we are not in balance (Libra) with ourselves, with whom we truly are, and we won’t be able to engage any longer in situations that do not feel true to our hearts, to our Soul nature. The main reason of that is because the Sun, the Soul, is in Aries, the red energy, the Will to Be, the energy of Life. Aries is associated to the first House in astrology, and while from the personality point of view it refers to the Ego in action, to the way the world perceives us, from the Soul point of view, it is the expression of the manifested will and the emergence of the purpose of the Soul. Red is awakening and Aries is associated to the head in the body. 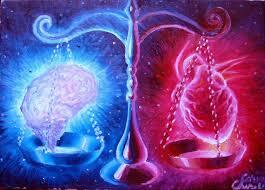 Awakening the head, the brain, to the heart energy in order to become who we truly are as Soul. We do not have to be angry and frustrated anymore, as red as consciousness refers to that, and we can receive the support from Mars and Mercury, which are trine to the lunar eclipse, in order to find the inspiration (Mars) to become aware and express (Mercury, communication) the true feelings that lie in our heart. Being honest with us and with others is the true key to trigger this huge inner transformation. Is what we live what we truly desire (Moon)? Does it reflect (the reflective quality of the moon) the true nature of who we deeply are (Sun) and what we deeply want from us? Mercury, associated to number 5 in esoteric numerology – which relates to change – is the esoteric ruler of Aries and it is very close to the Sun in Aries at 2°56’. If we read the degrees as a possibility of transformation, we can envisioned the inner alchemic process expressed by 56, which is the Aura-Soma Colour-Care System® is associated to Saint Germain, the alchemist, pale violet/pale violet, happening through the energy of ray 2, the ray of Love and Wisdom. Love is the only energy that can unify and we are true to ourselves only when we accept what we feel in the depth of the self. Feeling unbalanced, unhappy means that we are not at peace with the Soul, so this full moon is an invitation to acknowledge the truth within our heart. Are we truly what we manifest on the outside? Do we really want to live from this space? Mercury is the messenger of the Gods, the intermediary between the personality and the Soul. He vehicles the energy of ray 4, which means that he leads us around the wheel of life and through the conflict that we experience, enlightens the intellect in order to bring us to harmony. So during this full moon we will go through a deep birth emotional crisis, which will manifest a new beginning for the self. The degree of the full moon/eclipse, if associated to the Aura-Soma® Equilibrium bottles, confirms what stated above. Bottle 3 is called the “Atlantean bottle” and it is also the bottle associated to the Heart Chakra. The Atlantean energy reminds us to stop manipulating ourselves and others emotionally in order to feel “we are in control”. 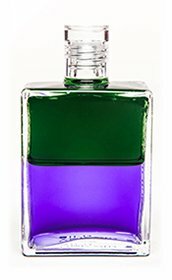 Bottle 17, the Troubadour, violet/green, is about seeking the truth and having the courage to express the truth of the heart, to allow the truth of the heart (green) to reconnect to our true Soul nature (violet). As Isabel Hickey says in her book Astrology – A Cosmic Science, “the horoscope is a blueprint of our character. Character is destiny. There is nothing static in this universe in which we dwell. We can change by changing our attitudes and patterns of behaviour. In doing so, we change our destiny. […] An understanding of planetary influences allows you to take your life in your own hands and intelligently utilize the planetary influences that will help you in your evolution if you but will”. 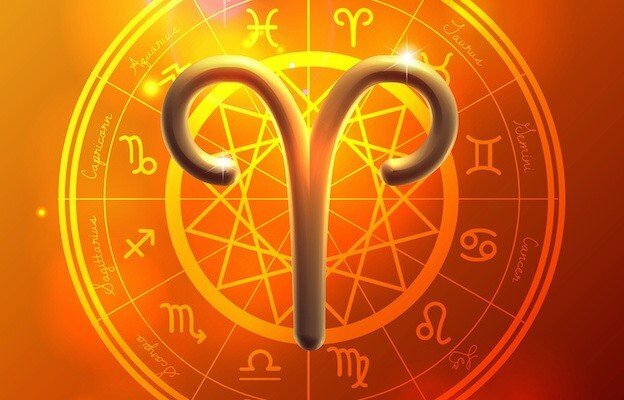 If you truly want to be yourself (Aries) and live your true life, your Soul (Sun), reconnect (Moon) your mind (Aries) to your heart (Libra).